Whether you face criminal charges or a sticky family law situation, you want an experienced attorney on your side who will fight for your rights. At the Law Office of Andrew Bryant, Andrew fights relentlessly to secure favorable results for his clients in Family Law and Criminal Defense cases. 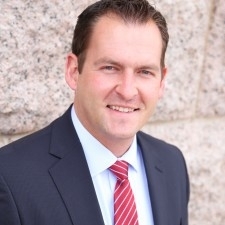 Andrew Bryant is an experienced former prosecutor, who is well known and respected in the El Paso County court system, and his firm's reputation for assertive advocacy gives clients a distinct advantage. If you need a strong divorce litigator or a tireless defense attorney, you can count on our Colorado Springs Law Firm's unwavering support.